For the second installment of our picnic series, we are baking cookies! 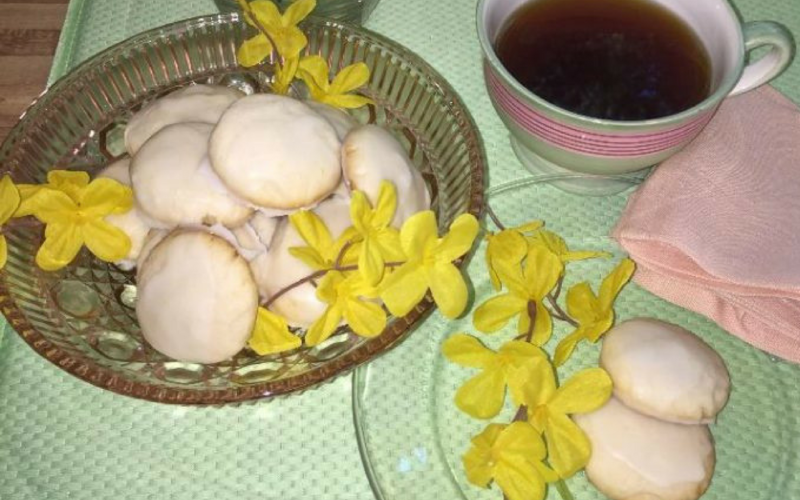 Lemon Tea Cookies to be exact. 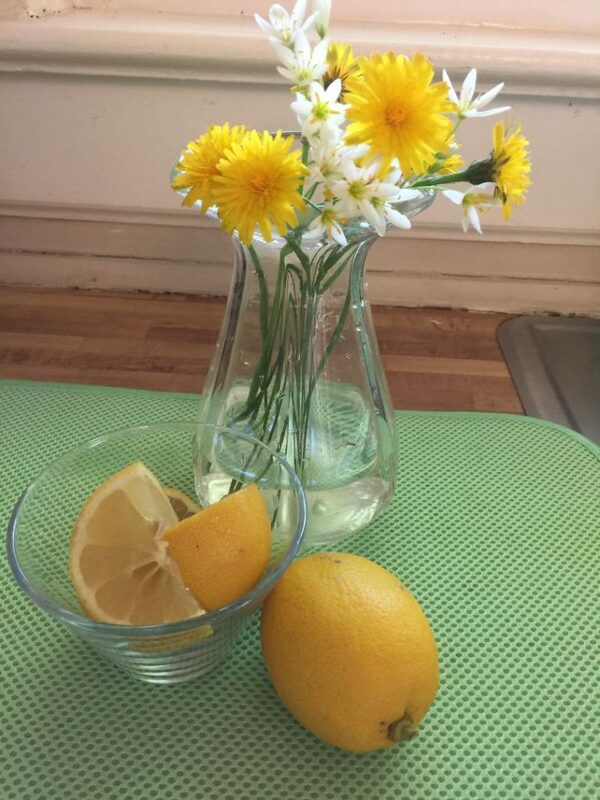 Lemon and springtime go together like cookies and picnics. So let’s get started. This is a simple recipe you and your children can whip up at a moment’s notice when the urge for taking a picnic hits. There are only six ingredients and the only liquid is lemon juice, no eggs or milk. The dough for these cookies is rather dry and will need to be chilled before rolling out. This will allow for easier handling. First, sift together the flour, corn starch and salt. Whisk together in a small bowl and set aside. In a mixing bowl, cream the butter. Add the powdered sugar and beat until fluffy. Add the lemon juice and zest. If you do not have fresh lemon, you may substitute the artificial lemon juice. But there is just nothing like the taste of a fresh lemon. 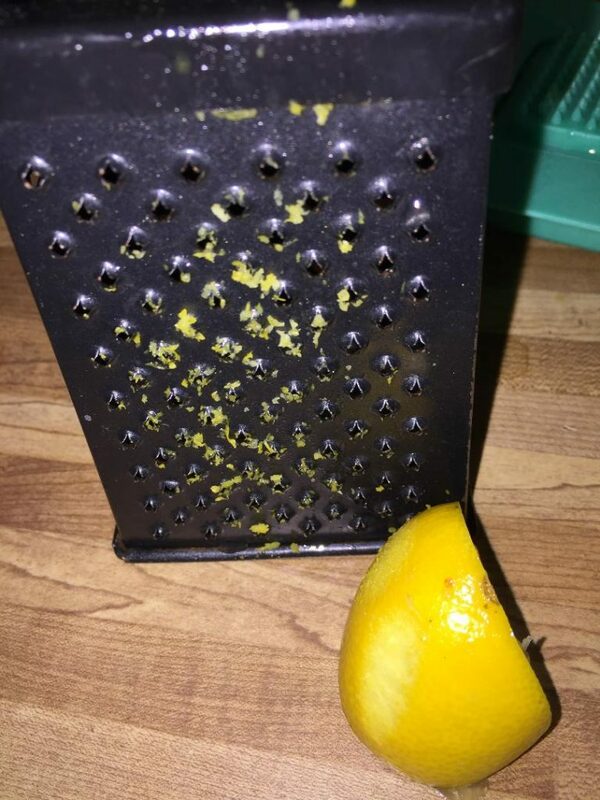 To get the zest, grate the rind against a zester. 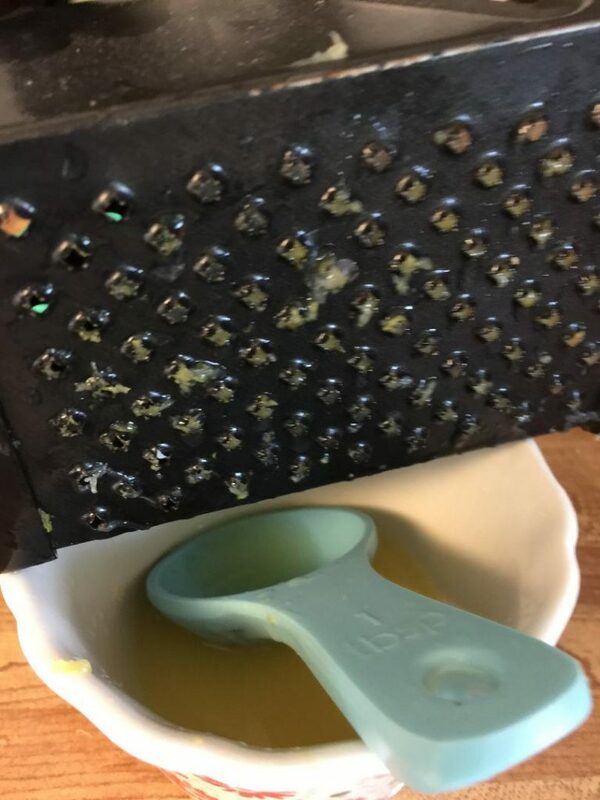 If you don’t have a zester, you can use your grater. There is usually one on the side of a grater. I use the juice to collect the zest into the liquid. Slowly add in the flour mixture, mixing well after each addition until all is mixed. Scrape the sides of the bowl to ensure you get all the dough collected. Form into a ball. 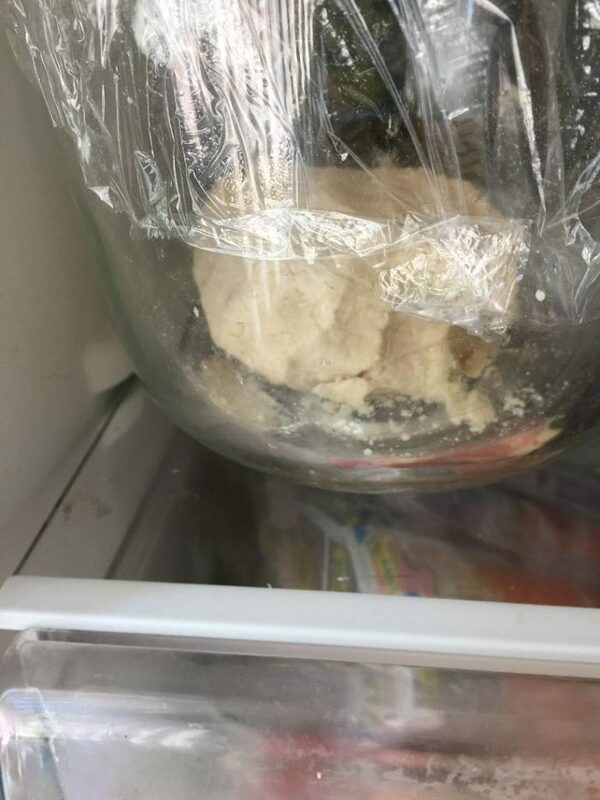 Cover with plastic wrap and chill in the refrigerator for an hour. Once the dough has chilled, remove and roll into walnut size balls. 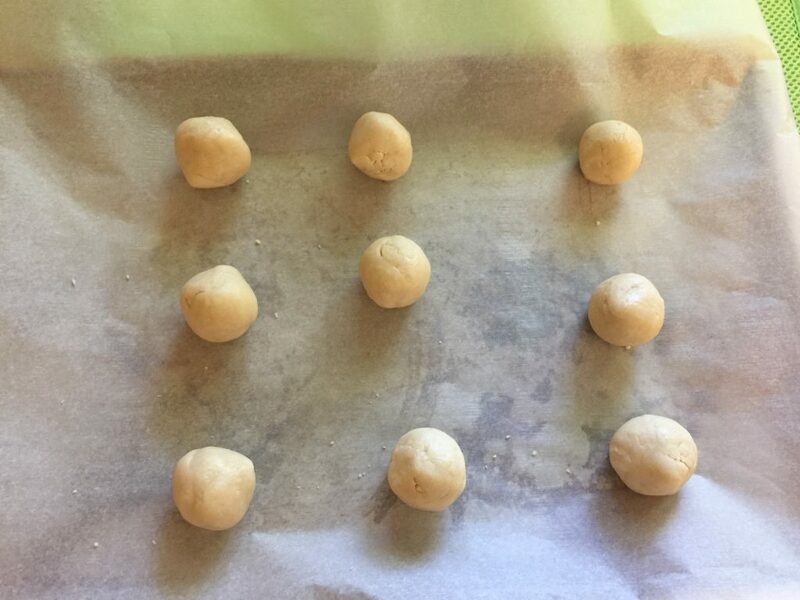 Cover your cookie sheet with parchment paper and place the rolled balls onto the cookie sheet. 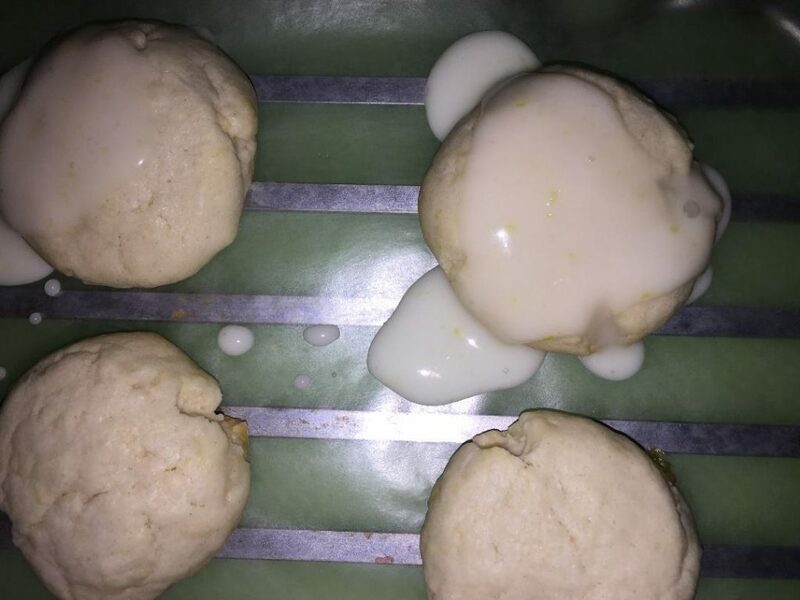 Take a drinking glass and press out the balls to make the cookie shape. Bake in a 350º oven for approximately 15 minutes or until the bottoms are a golden brown. The tops of these will not be brown. Don’t leave the cookies until they are brown on top because then they will be burnt on the bottom. Once the cookies are done, place on a wire rack to cool. If you don’t have a wire rack, you can place on wax paper or paper towel. While the cookies are cooling, the glaze can be mixed. I always sift the powdered sugar for icing and glazes because many times it comes out of the box lumpy. Once you have sifted the sugar, add the juice and zest. 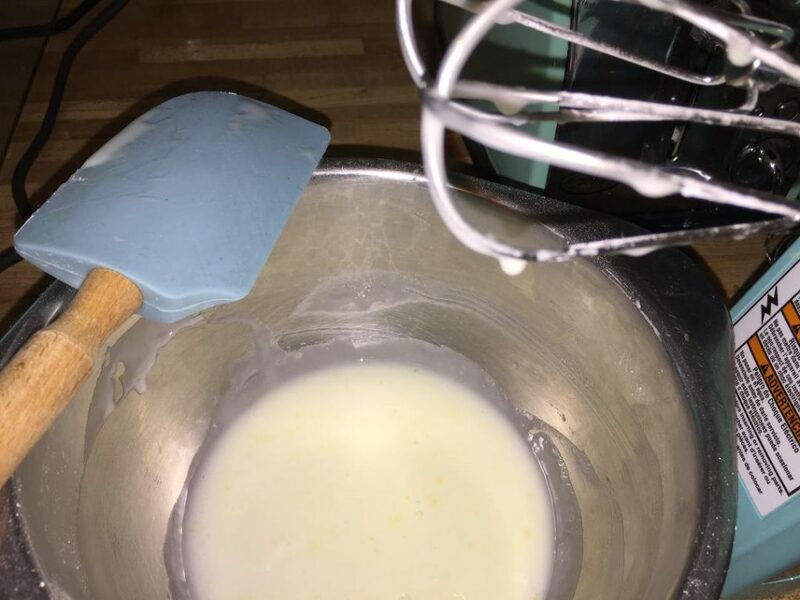 Whisk until you get the consistency you desire. You don’t want it too runny but not too thick. It is a glaze not an icing. If you need to change the consistency, add more sugar to thicken, add more juice to thin it. 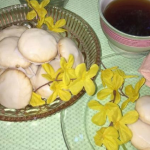 These little cookies are called tea cookies which I could see being at a frilly ladies’ luncheon or little girls’ tea party. What’s to say you couldn’t do either of those activities outside? You can even take your good china and set up a beautiful table setting outdoors. Use your imagination and have fun! In a small bowl, whisk the flour, corn starch and salt then set aside. In a mixing bowl, cream butter until smooth. Add powdered sugar, blending until fluffy. Add lemon juice and zest slowly, mixing well. On low, slowly add in flour mixture until everything is fully mixed. Scrape down sides of mixing bowl and form the dough into a ball. Cover with plastic wrap and chill in refrigerator for one hour. Remove from refrigerator and roll into walnut size balls. 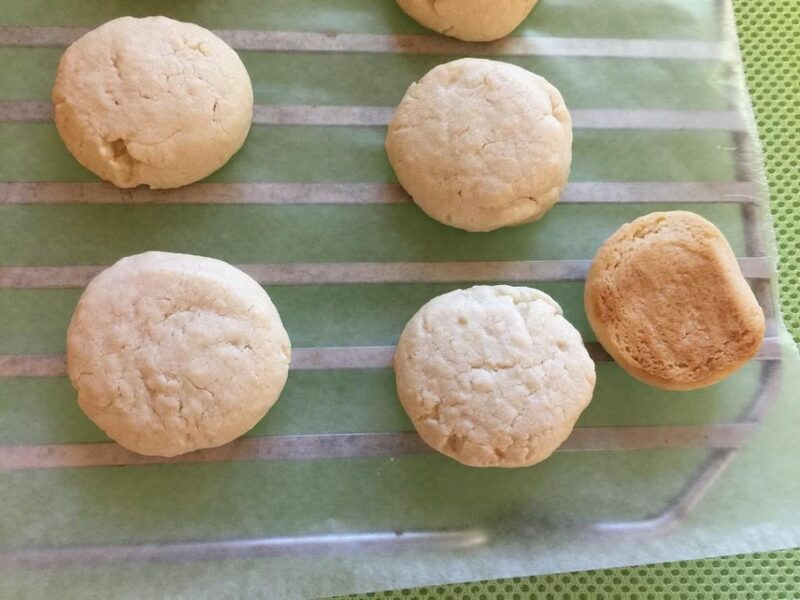 Place balls on cookie sheet that has been covered with parchment paper. Mash the balls into a flat shape. 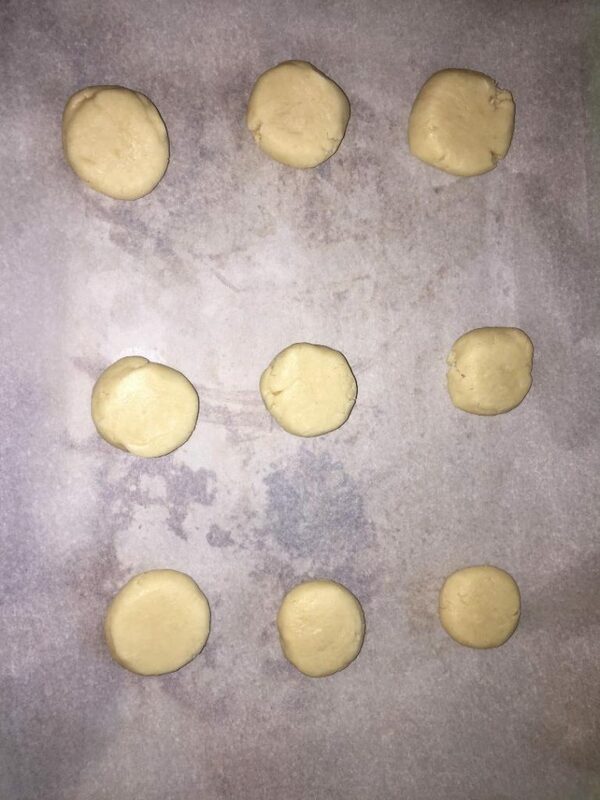 Bake cookies in 350 oven for approximately 15 minutes until golden brown on bottom. Cool on wire rack before icing. For glaze, whisk together the powdered sugar, lemon juice and zest. Drizzle by teaspoonful onto each cooled cookie. This post was written by Macy, the incredible mother & mother-in-law of the bloggers here at Puppies & Piña Coladas. She loves spending time with her daughters, granddoggies and grandkitty. 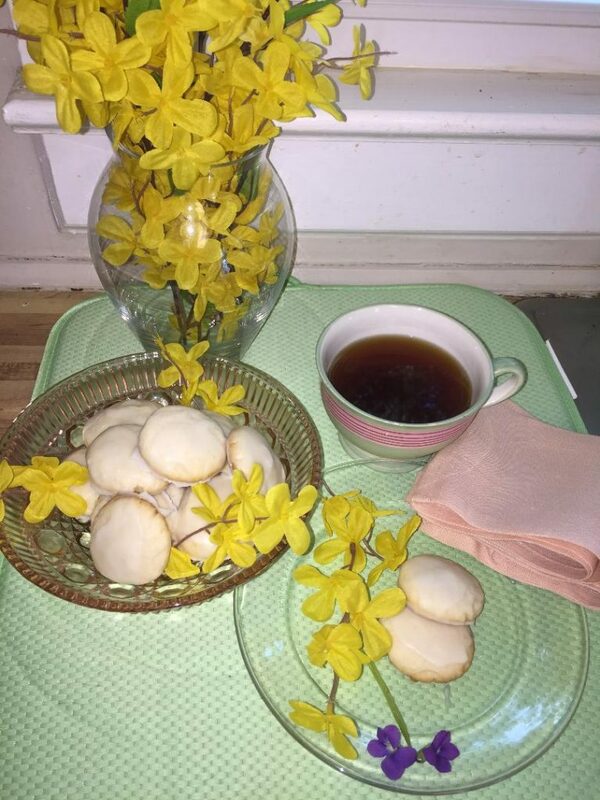 She is a phenomenal southern cook and will be posting her secret recipes and amazing crafts regularly on the site.